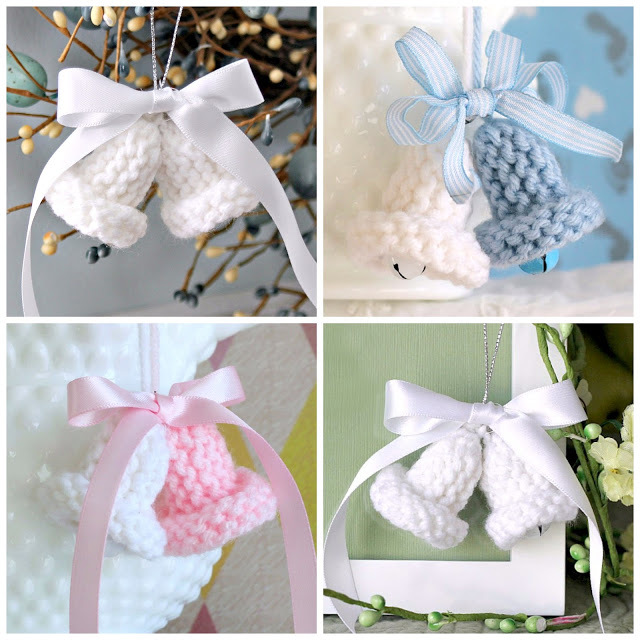 Easy vintage pattern for knitted dainty bells work up quickly and are sweet for holiday tree ornaments, baby or wedding shower favors and corsages. 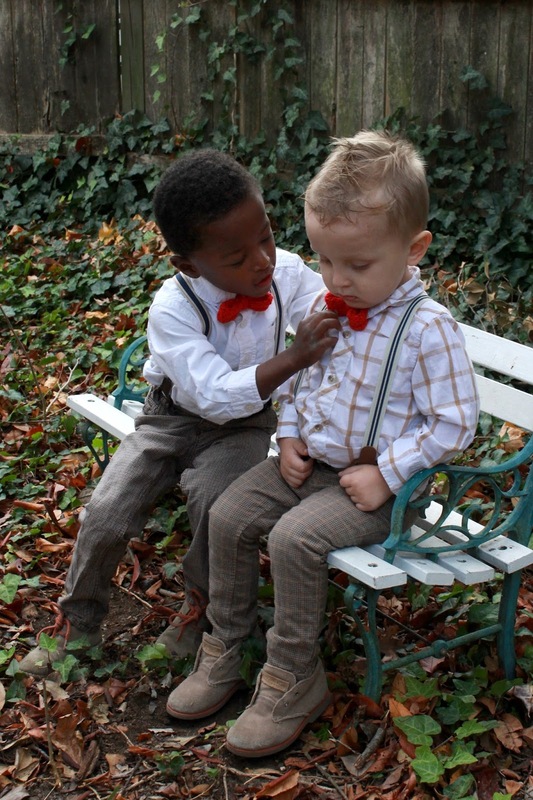 My husband’s Aunt Marie enjoyed all sorts of needlework and loved gifting us with special items she made. 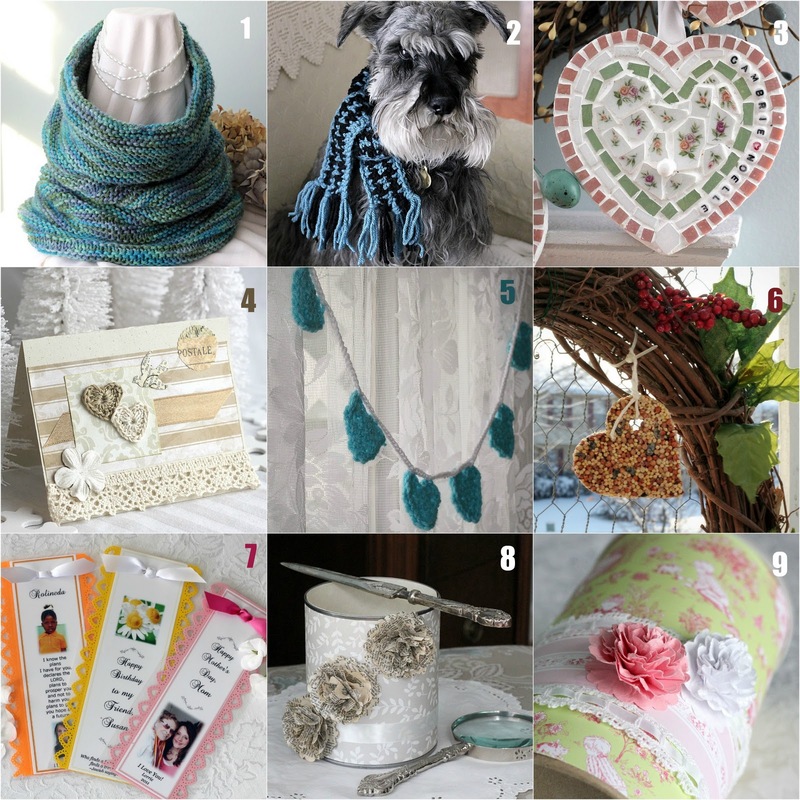 Look through this Craft Project Recap for inspiration. 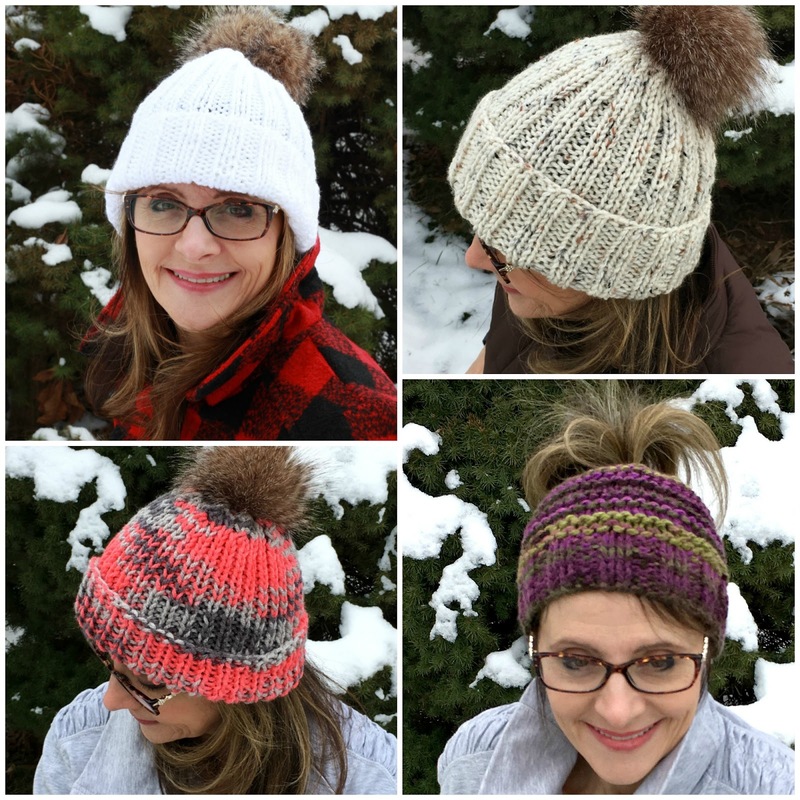 The collection shown above includes knitting, crochet, paper projects and a bird feeder wreath. As most of my friends are getting warmer nowadays, I just keep getting colder and colder. You will seldom find me without a warm scarf when I go out. 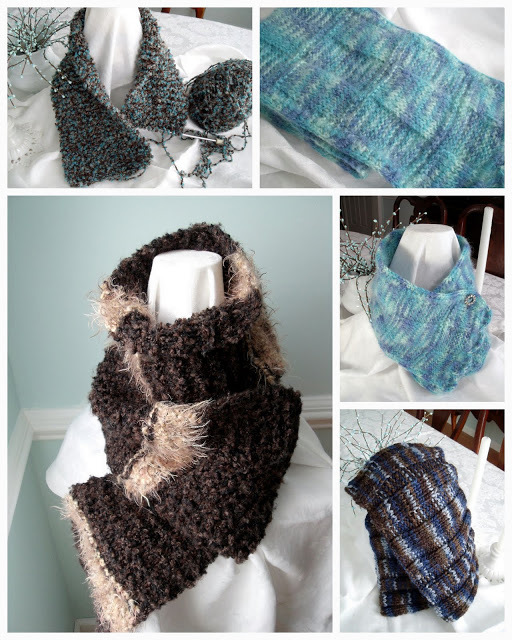 Here are a few knitted ones I’ve made. 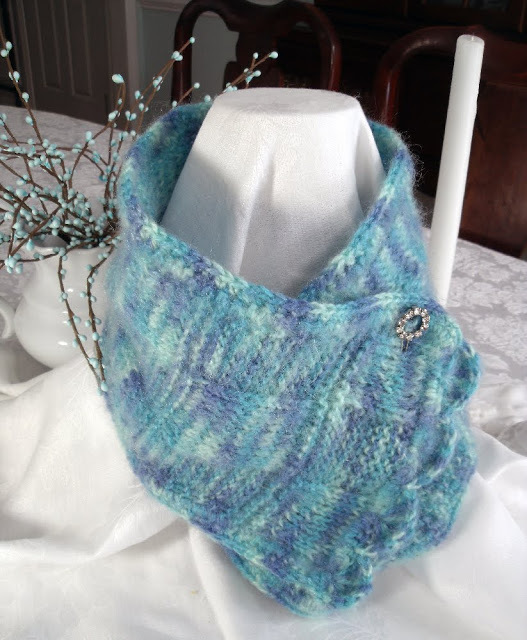 I didn’t use a pattern for this angora scarf in pretty shades of blue. It is a basketweave and much easier to make than it looks. I crocheted around the edges and added one row of crocheted shells on the bottom of one edge. I can close it with a pin or simply wrap it around my neck. As you can see, my scarf isn’t done in even squares but rather more like rectangles. That was achieved by adding a few more rows before reversing the pattern. There are many patterns to be found on the net and here is one that looked clear to follow. 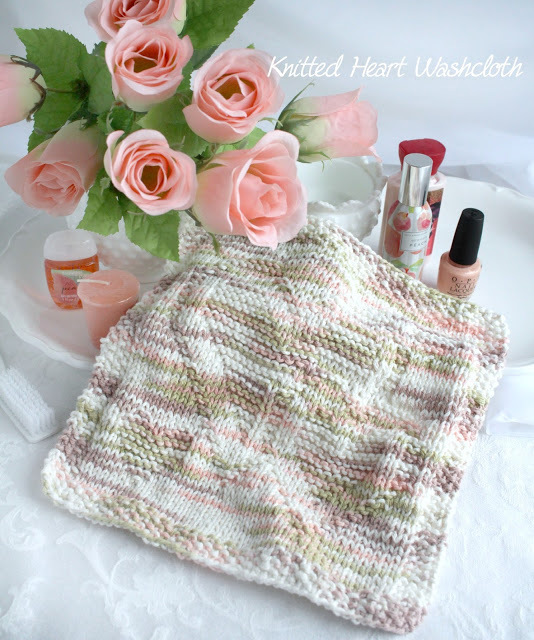 Like many stitches, the basketwaeve stitch looks complicated but is actually very easy to create. 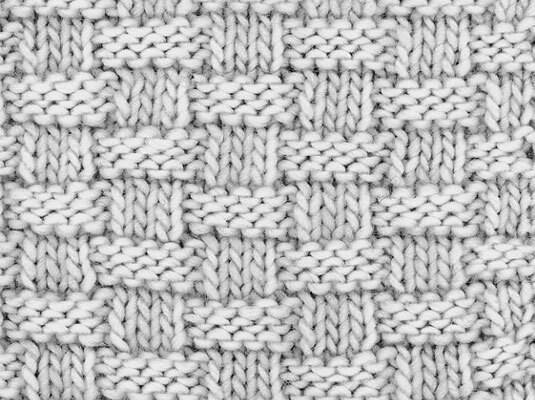 Basketweave stitch got its name for obvious reasons, as you can see. Cast on a multiple of 8 sts, plus 5 sts. Rows 2 and 4: K5, * p3, k5; rep from * to end of row. Row 3: P5, * k3, p5; rep from * to end of row. Rows 6 and 8: K1, p3, * k5, p3; rep from * to last st, k1. Row 7: P1, k3, * p5, k3; rep from * to last st, k1. Repeat Rows 1–8 to create the pattern. 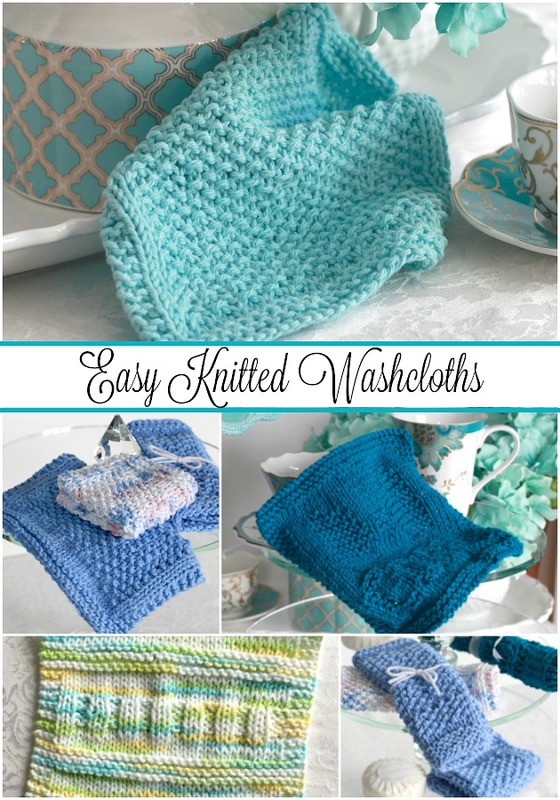 You can use any number of stitches for each block — 4 x 4, 5 x 5, 3 x 7, and so on — for variations on the basic basketweave. 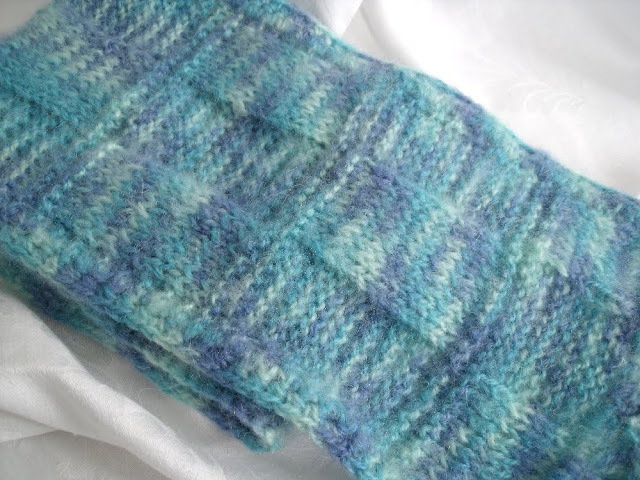 Above is an example of a Rib Stitch that was worked up from the long side by casting on lots of stitches and working fewer rows. 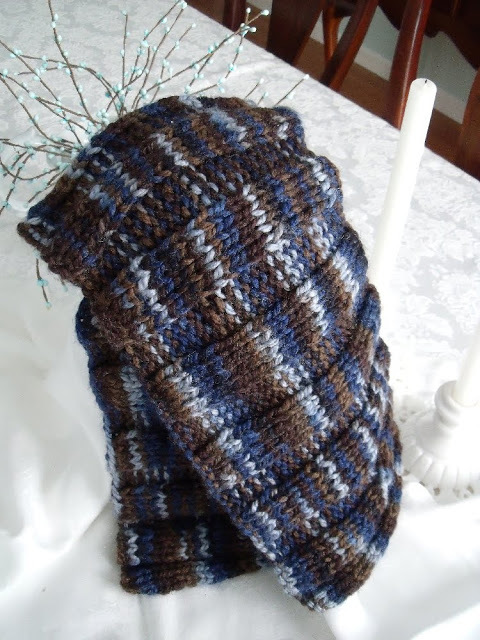 This scarf is knitted in the stockinette stitch (all knits) with a contrast color stripe. 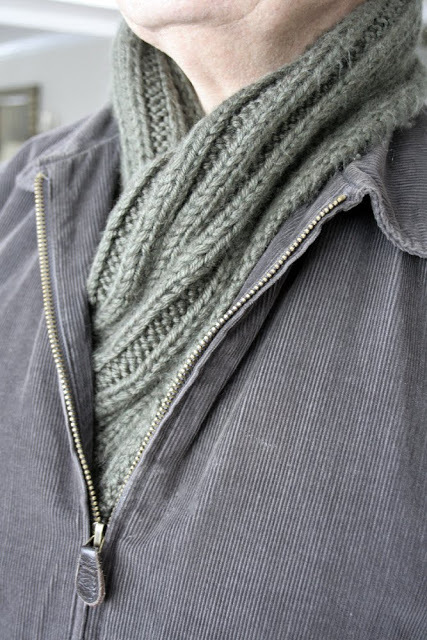 It is years old but a favorite because it is so soft and warm! Here is a terrific masculine scarf for guys worked in the Rib Stitch. My husband wears it everyday. I used two strands of yarn and because of the ribbing, it keeps him toasty warm! Row 3: *K3, P2*. Repeat from * to * across row. Row 4: *K2, P3*. Repeat from * to * across row. 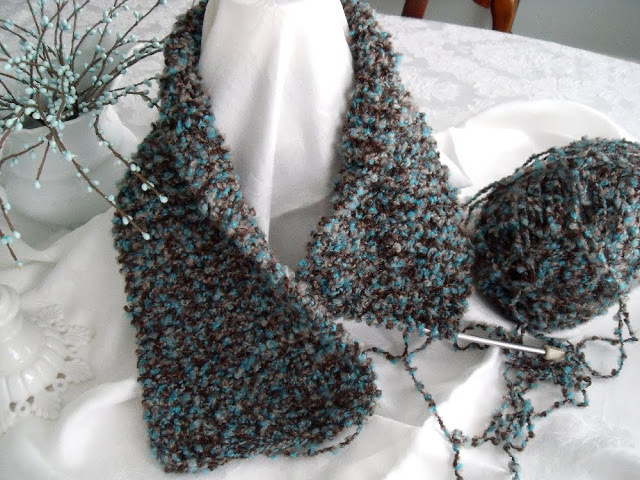 Repeat Rows 3 and 4 until scarf measures approximately 65 inches in length. Using the tapestry needle, weave ends of yarn into stitches securely. Gently block scarf to measure four and one half inches across. 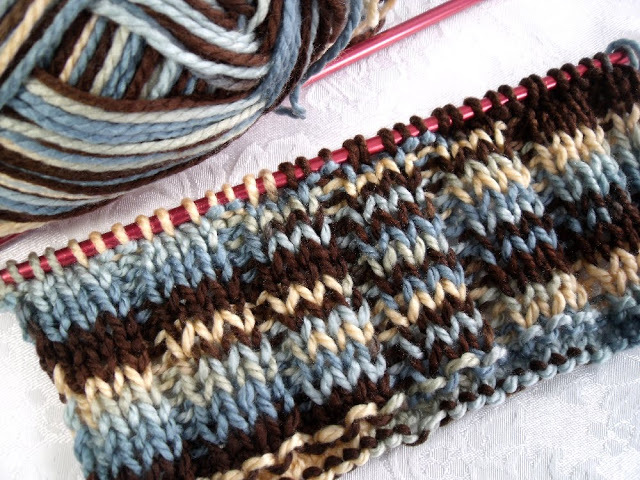 I just started another scarf using the above pattern, this time in a variegated chunky yarn by Bernat. 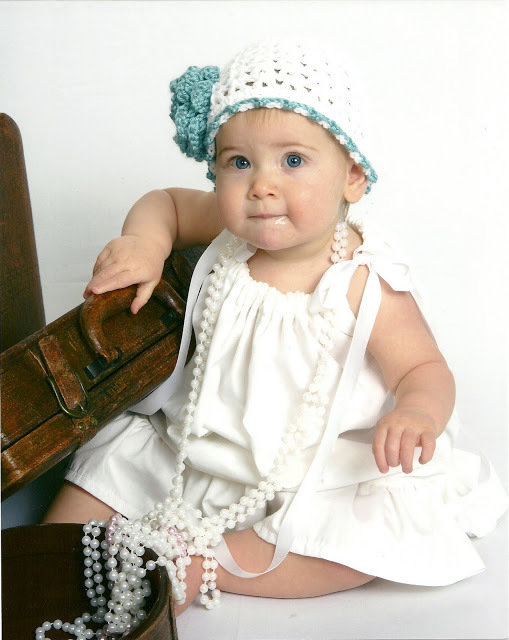 I don’t know this little one in person but her momma gave me permission to post photos she had done by a professional photographer of baby Casey’s 1st Birthday. 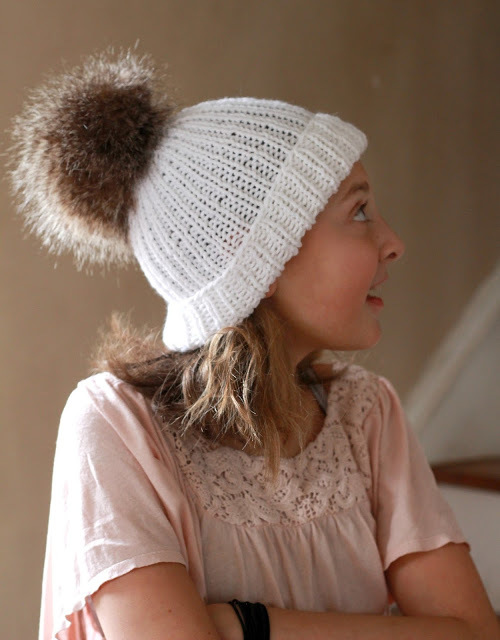 I am honored that Casey is wearing one of my beanies! She has the softest, sweetest little face with beautiful eyes! I have closed my Etsy shop and put my crochet hooks aside for awhile. I have a pinky finger that is following the path my parents fingers have taken. 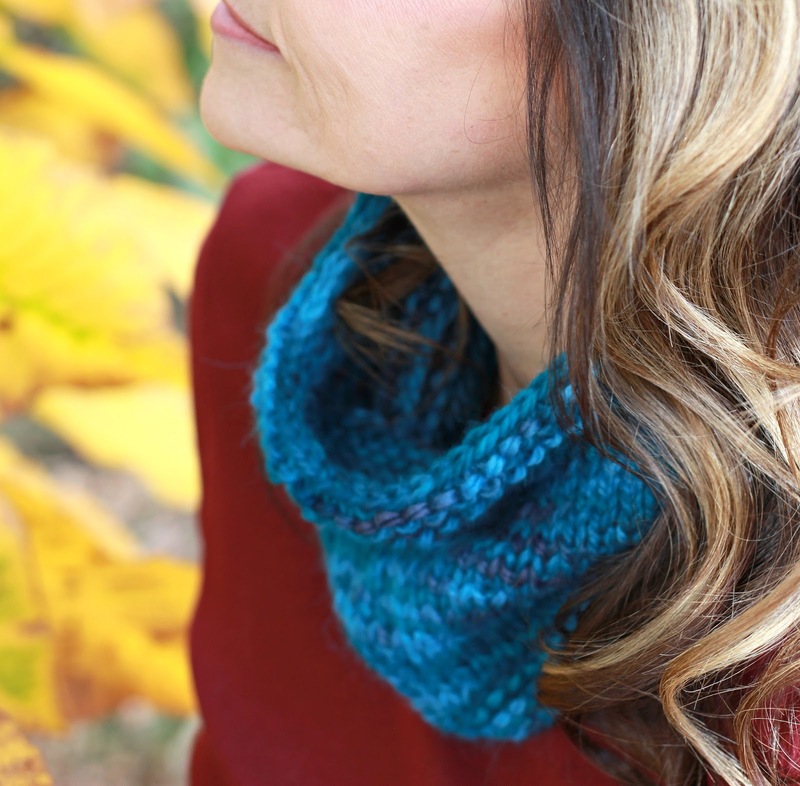 It seems twisted and crocked fingers with bumpy knuckles just might run in the family and after a year of intense crocheting, I have seen a significant change in shape and discomfort. 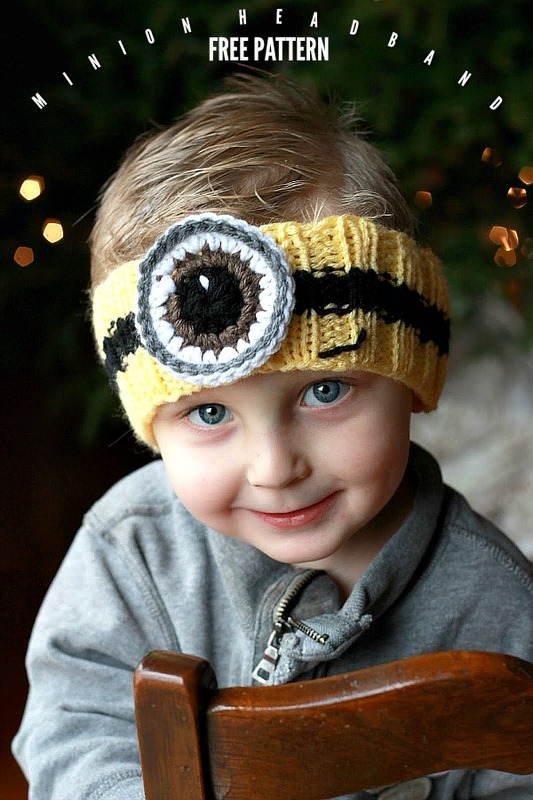 But I can still knit and have a couple of projects in the works. 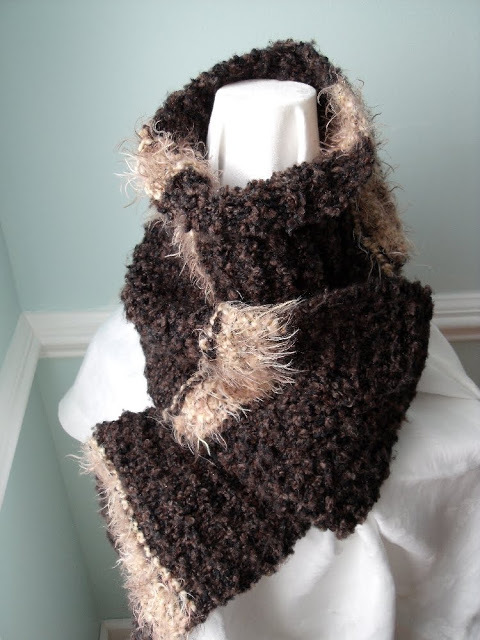 The scarf above is simply done in all knits which seems to suit this Soft Boucle nicely. 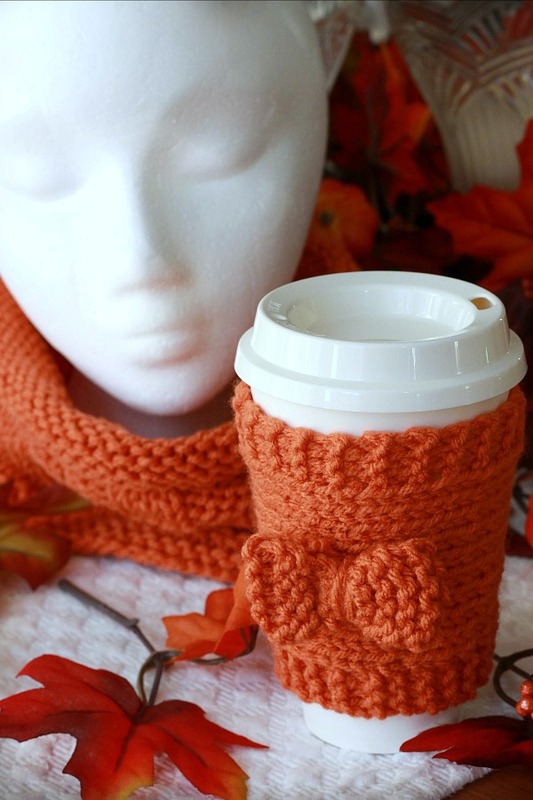 The pattern in the scarf above is one of my favorites. 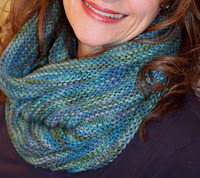 It is worked in an easy 2×3 Rib Stitch making it so warm and snugly. There are many variations of the Rib Stitch and in a few days I’ll share a couple of patterns with you. My mom is of German descent and she learned Continental Knitting (also called German or European Knitting). We do not throw the yarn as many people do. 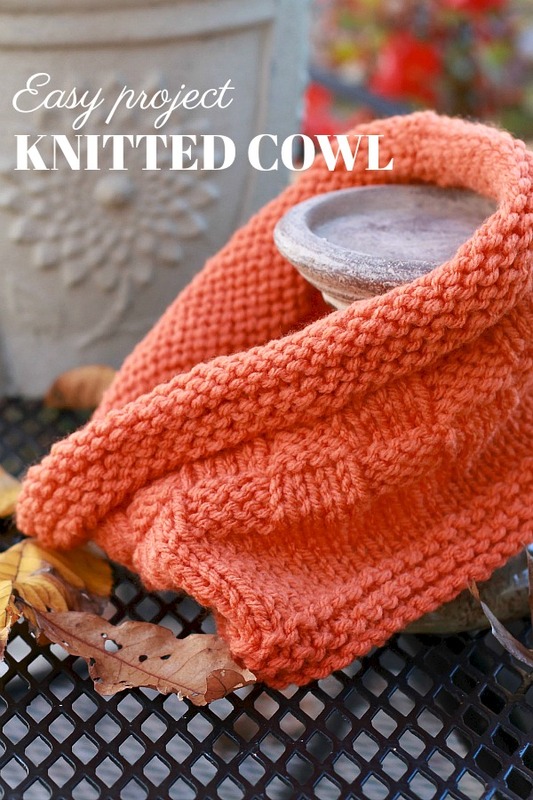 Here is a terrific video demonstrating this method of knitting. If you are a crocheter, you will take easily to knitting this way. 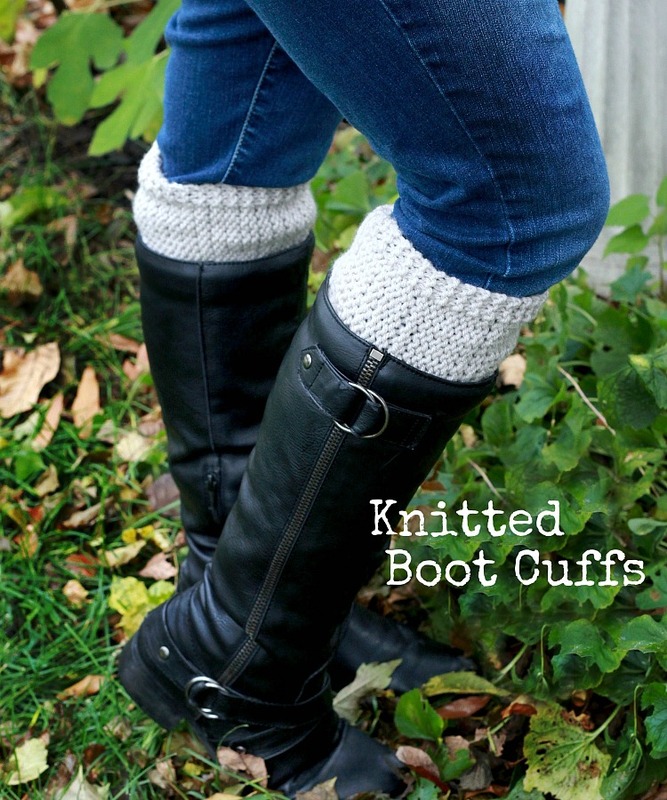 It is the way I knit and cast on.